Millions of these helpless Africans washed ashore in Brazil — indeed, in the present-day, roughly one-half of the Brazilian population trace their lineage directly to Africa. African culture has imbued Brazil permanently and profoundly, in terms of music, dance, food and in many other tangible ways. But what about Brazil’s neighbor, Argentina? Hundreds of thousands of Africans were brought there as well – yet, the black presence in Argentina has virtually vanished from the country’s records and consciousness. In Buenos Aires, neighborhoods like Monserrat and San Telmo housed many enslaved blacks, some of whom were engaged in craft-making for their masters. Indeed, blacks accounted for an estimated one-third of the city’s population, according to surveys taken in the early 1800s. “People for years have accepted the idea that there are no black people in Argentina,” Miriam Gomes, a professor of literature at the University of Buenos Aires, who is part black herself, told the Post. “The first paintings of people dancing the tango are of people of African descent,” Gomes added. Ask the typical Argentine about what he or she knows of Argentina’s black population or that country’s African heritage and one is likely to receive one of two responses. The first and perhaps most common response, at least according to George Reid Andrews, is the categorical denial on the part of most Argentines of the existence, past or present, of Afro-Argentines. This opinion is especially common among residents of Buenos Aires; ironically, it was the port of Buenos Aires which served as an entry point for enslaved African destined for the mines and estates of the Viceroyalties of first Peru and then of the Río de la Plata and eventually the Argentine confederation from the sixteenth to the mid-nineteenth centuries. 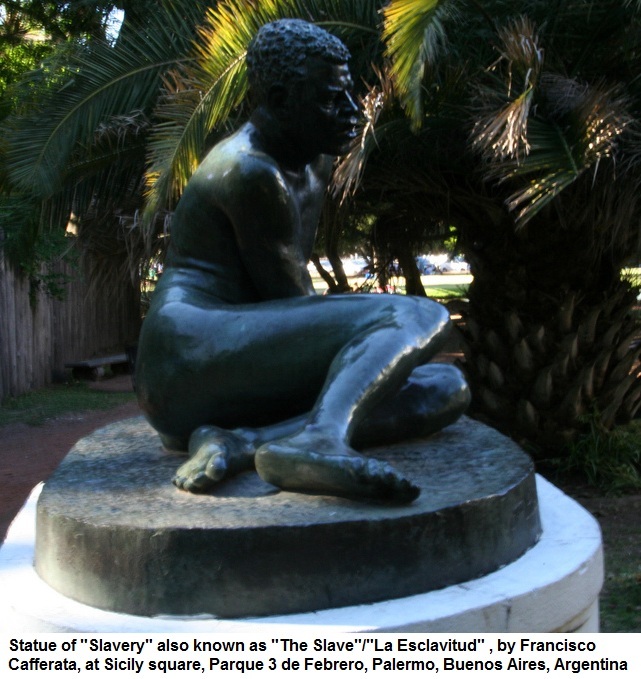 Moreover, Africans were especially visible in and around the city of Buenos Aires, whether as domestic servants, day laborers, urban slaves, militia members, or as gauchos (cowboys), field slaves, and peons in the countryside. Despite this history, porteños (natives of the city) insist on telling themselves and their visitors that “There are no Negros in Buenos Aires” (George Reid Andrews, The Afro-Argentines of Buenos Aires, 1800-1900 [Madison, 1980], 3). The second response, while acknowledging the historical presence of Argentines of color, often denies an African component in Argentina’s culture. Concomitant with this opinion are questions about the fate of Afro-Argentines. What happened to them? How did they disappear from the population and the national consciousness? Despite the opinions illustrated above regarding the presence (or lack thereof) of Afro-Argentines, a considerable bibliography nonetheless exists on the experiences of blacks in the Río de la Plata. This rich (if largely unexplored) bibliography has a new addition, albeit on an old theme: the riddle of the disappearance of Afro-Argentines. Essentially, Francisco Morrone’s study attempts to not only explain the disappearance of blacks in Argentina, but also provide a history of black participation in the military. Based on published primary documents and standard secondary sources, this work revisits themes treated elsewhere in the Afro-Argentine historiography. For example, Morrone begins with an analysis of the slave trade and slavery in the Río de la Plata. These themes have been previously well-covered by, among others, Elena F. Scheuss de Studer, Diego L. Molinari, and more recently Marta B. Goldberg and Carlos A. Mayo. Morrone’s purpose is to establish that both in the colonial and post-colonial periods blacks in Argentina were present in numbers much higher than generally reported (en un número mucho más elevado al que se le asigna ).